If you've been looking for a stable restaurant with a history of loyal customers over several years and you want to be in the west end of the Mesa, then stop and look at this business. The owner will carry a portion of the purchase price for the right buyer. This place has a Denny's style menu where an expensive chef is not needed. There is one family member working the restaurant, so this is perfect for a whole family to work and dramatically increase the profit. Of course, the employees will stay if that's what you want. 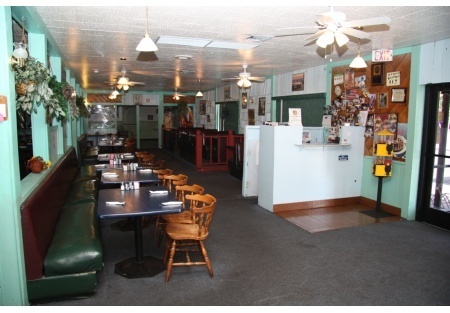 This restaurant is located in a standalone building on a major street in a neighborhood community. This isn't a seasonal restaurant where the snow-birds come and go driving business owners crazy during the hot summer. This restaurant is smack in the middle of a community of homes, apartments and businesses and one one of Mesa's busiest streets. It has a great reputation for serving wonderful comfort food at a reasonable price; hence why it has done well during the recession. The reported revenue is over $517,000 for 2009 with an adjusted net for 2009 of more than $125,000. The restaurant is in fair shape and all I would do is the floors. The owner of the business owns the real estate, so perhaps you can negotiate a deal for the flooring. The rent is $5,000 all-in including the taxes and insurance. The tenant will maintain the building. You can buy the real estate if you like. In that case the cash flow available to purchase the real estate is closer to $190,000 annually. Stand Alone Building w/4264 Sq. Ft. Owner Will Carry w/$150,000 Down.